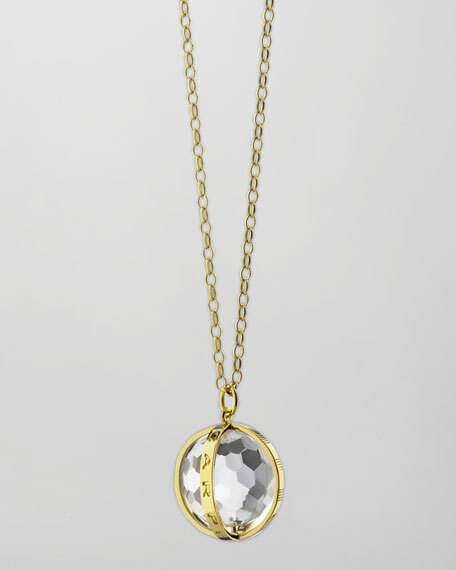 This Monica Rich Kosann necklace features a spinning globe of faceted rock crystalonce thought to foretell the futuresurrounded with a 18-karat gold frame engraved with "carpe diem." 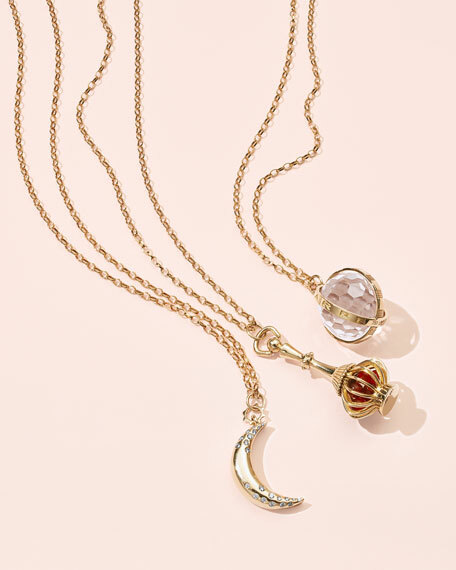 The crystal symbolizes what tomorrow holds and inspires one to seize not only the moment or the day, but all that the world has to offer. Intensely faceted rock crystal encased in cage carved with "CARPE DIEM" lettering. 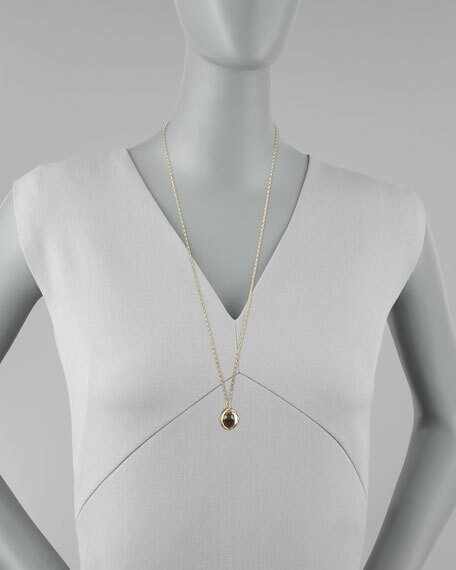 Belcher chain necklace, approximately 32"L.
For in-store inquiries, use sku #406054.